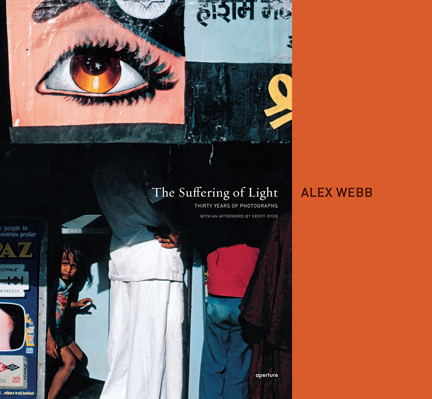 Hope to see some of you who can make our joint slide talk, “Together and Apart: Photographs by Alex Webb and Rebecca Norris Webb,” at Host/Foto 8 on Tuesday, June 21st, which will also include a book signing of “The Suffering of Light,” Alex’s new book from Thames and Hudson/Aperture. It starts at 7 pm, but the doors open at 6:30 pm. Please leave us a comment if you can join us. And we hope our friends in London have a chance to see Alex’s show at Magnum Print Room at Magnum London, which will be up until July 29th (you’ll find the exhibition hours at the link above.) 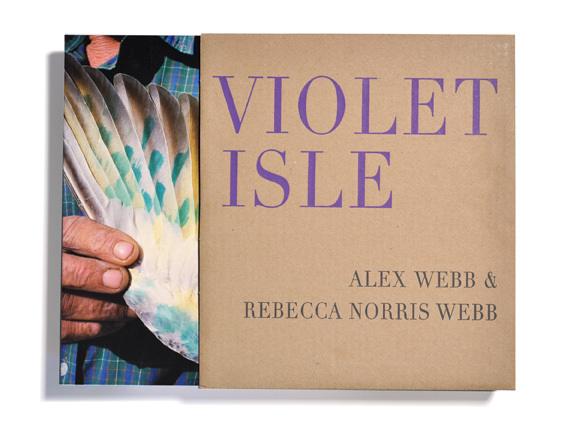 Magnum London has some signed books for those who are interested. All former Webb Workshop participants are invited to participate, but others will be considered as well. 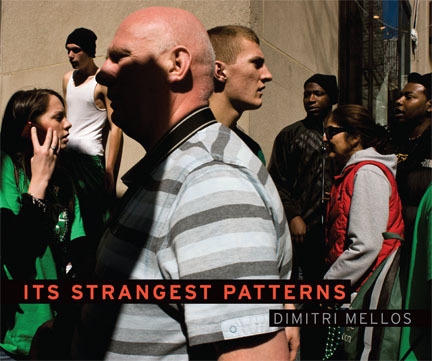 Dimitri Mellos, cover of "Its Strangest Patterns"
It’s common to celebrate the birth of a photographer’s new photo book at a gallery exhibition. Instead, the UNBOUND exhibition at the CAPTION GALLERY — during the inaugural VERGE ART BROOKLYN festival the first week in March this year — celebrates the long and often arduous labor — with its joys and pangs and meanderings — that accompanies the process of making a photo book. For those who’d like a window into this at times difficult, at times mysterious bookmaking process, please stop by and visit UNBOUND, a show that features the fruits of the labor of last fall’s intense, intimate, and now annual PHOTO PROJECT WORKSHOP. The opening reception for UNBOUND will be Thursday, March 3d, from 9-10:30 pm during the first night of the Verge Art Brooklyn, a festival that coincides with the annual Armory Show this year. The UNBOUND exhibition will run until the end of May 2011. For more about the next Photo Project Workshop at the Caption Gallery the last week in October, 2011, please visit Alex and Rebecca’s website. To learn more about their upcoming editing workshop at LOOK3 photography festival in June, please visit LOOK3. For those interested in a photographing workshop, there are two places left in the Barcelona: Finding Your Vision workshop the last week in March. Lastly, here’s the link to the London Telegraph online’s Q&A with Alex and Rebecca. 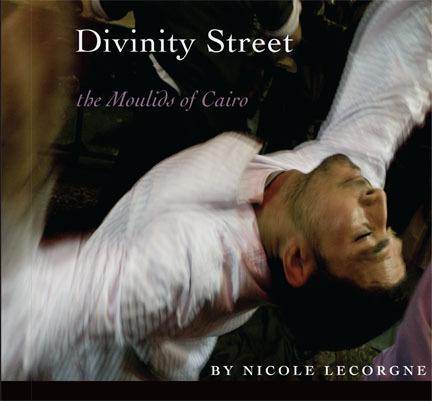 Nicole LeCorgne, cover of "Divinity Street: The Moulids of Cairo"
Over the next few days, Rebecca and I are going to be posting some images and rough, diaristic video about the experience of being on press in Hong Kong for my survey book of 30 years of color photographs:”The Suffering of Light.” This is the fourth time in five years that Rebecca and I –– who edit and sequence our books together ––have been on press for either one of our individual books or our joint book. For me, putting together a survey book of 30 years of photographs has been rewarding but also a little unsettling: while on the one hand I am looking forward to printing this upcoming book, on the other hand, I am filled with the doubts that accompany a book that reflects much of my photographic life. Inevitably, there have already been a few detours. 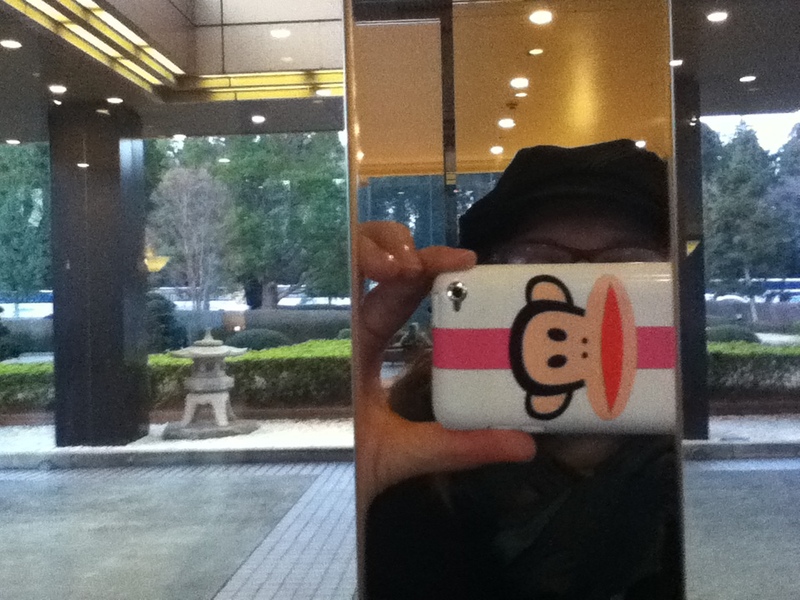 Our flight to Tokyo was delayed, and as a result we missed our connection into Hong Kong and had to spend the night at a hotel near the Narita Airport. 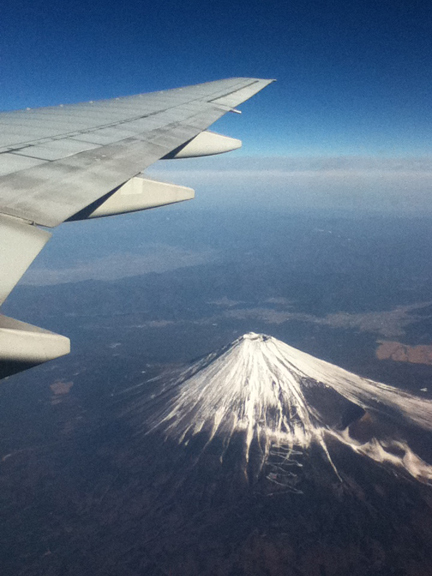 On the flight the next day, however, thanks to unusually good weather, we had a rare sighting of Mount Fuji, which Rebecca photographed with her new ipod touch (a remarkable little invention.) And, because we’d purposely scheduled an extra travel day, we haven’t lost any time on press for the book. This week we are featuring the work of S.M. MAES and SHAUN ROBERTS, two participants in the THE PHOTO PROJECT WORKSHOP that we conducted this past October. In this workshop, we work with the participants to help them shape a project into a more coherent form, ultimately into a handmade book dummy. This process involves working with participants to edit and sequence their work, and pushing them to try to come to grips with the core or heart of their project. In addition, Rebecca, who is a writer and text editor as well as photographer, helps the participants write an artist statement and find a title. Lastly, we introduce workshop participants to the process of working with a designer. Each photographer meets with a designer early in the week, who then creates two covers for their work-in-progress by the end of the workshop. Here are two of these cover selections –– along with their accompanying artist statements and titles ––one from Belgian street photographer, S.M. Maes, and the other, from the San Francisco-based photographer and director, Shaun Roberts. Over the course of the next six months or so, we will publish the other covers produced in the workshop. There will also be an exhibition in New York, hopefully next spring, of all the covers plus one framed print from each of the projects at the Caption Gallery in Brooklyn. S.M. 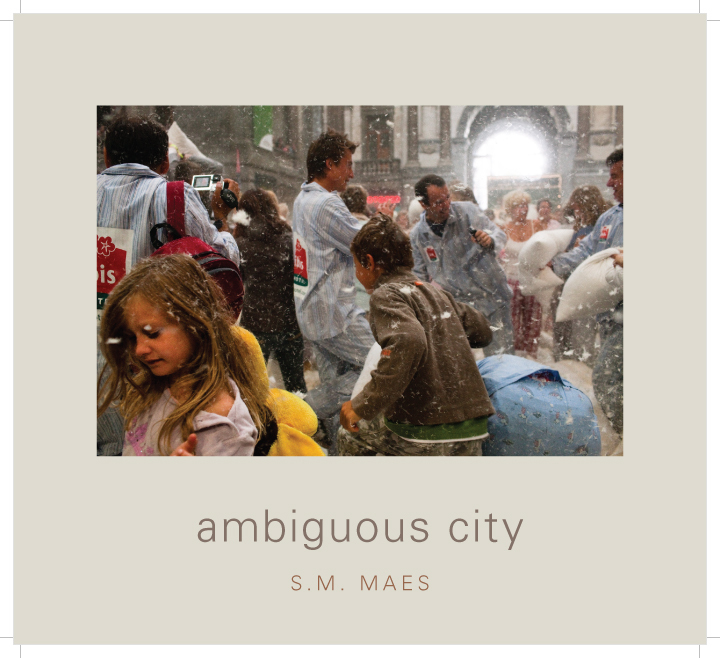 Maes, cover-in-progress for "Ambiguous City"
Shaun Roberts, cover-in-progess for "Auden's Words"
This project grew from a need to make sense of the world around me after having suffered a personal loss in my life. A close friend and poet offered the above W.H. Auden quote to consider. I found comfort in these words that quietly stuck with me, even if I didn’t fully grasp their meaning. Again in again, in Shanghai, Bangkok, San Francisco, New York, where ever I traveled for the next few years, I found myself drawn to the undeniable grace of strangers. Some passed me in a fraction of a second, barely enough for an exposure — while others eventually I had the privilege of getting to know. 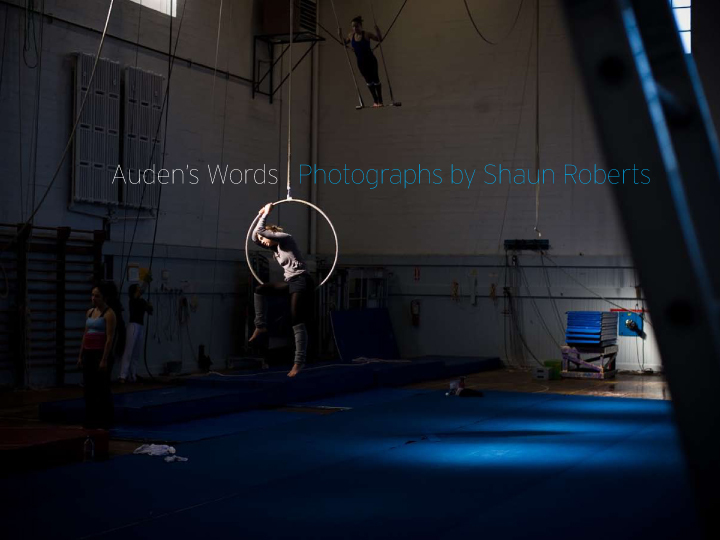 To stay updated about the next PHOTO PROJECT WORKSHOP, which is not posted yet, please request to be added to the WEBB WORKSHOP EMAIL LIST by emailing Rebecca at rebeccanorriswebb@yahoo.com. You are currently browsing the archives for the Unbound category.